Aphorisms are general statements designed to contain and express the undistorted truth. And that’s pretty much what this book is all about. From a philosophical standpoint, Nassim’s words penetrate deep into our behavioral patterns and point out the inconsistencies. Without further ado, let’s take a gander at the core principles! 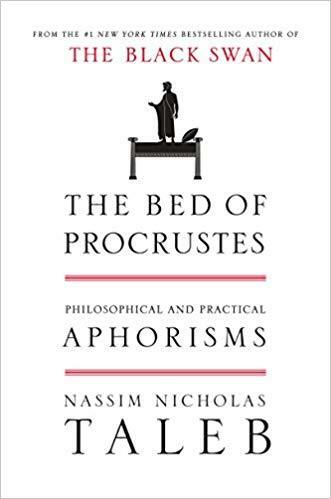 Who Should Read “The Bed of Procrustes”? And Why? At first, we weren’t quite sure that we understood the message emanating from this book. From the looks of it, it seemed as if Nassim had scattered a bunch of things and quotes without any natural flow. The Bed of Procrustes is genuine in its entirety, and it covers everything pretty much every aspect of an ordinary person’s life. Therefore, we wholeheartedly recommend it to the general audience, with a promise of an excellent, and enlightening read. Nassim Nicholas Taleb is an acclaimed author and a prominent personality whose work brings to light the elements of randomness, probability, risk-taking, and uncertainty. Apart from unearthing some misconceptions related to the likelihood of something happening, he also excels as an essayist, scholar, and statistician. He has received both his bachelor and master degree from the University of Paris; and has a Ph.D. in Management Science. Procrustes, in Greek mythology, describes a vicious owner living in Attica who was renowned for his unusual hospitality. He kidnapped travelers, took them to his home, fed them, and then invited them to get a good night’s rest in his rather special bed. Meanwhile, he was obsessed into making the bed fit the traveler to absolute perfection. Those who were tall, had their legs chopped off, while those who were quite short for his standards, were stretched until there were no imperfections. According to some sources, the name of this “generous” host was Damastes. In addition to this, you can also find another version of this somewhat mythological tale. In the Pseudo-Apollodorus’s Bibliotheca, Procrustes had two beds, one small and one large. The beds depict the limited knowledge of society and the fear of the unknown. Once you get into reading, you’ll get the idea of why Nassim uses aphorism to illustrate a point. Remember aphorisms lose their appeal when explained, so we distill the essential meaning into this summary to make them more digestible. However, we try not to engage ourselves in explaining the symbolic meaning. Academia is to knowledge what prostitution is to love; close enough on the surface but, to the non-sucker, not exactly the same thing. To pick it up from here, he also asserts that education can make the wise one wiser, but the fool very dangerous. Ideas are not conceptual thoughts that don’t have predecessors, but a blend of rather incompatible ones. We can see clearly that Nassim is very critical of the way we absorb information. He also points out that modernity has taken a toll on humanity, and further impugns our capacity to make the world a better place. Those who can’t see past their nose tend to conflate religion with a belief-system. The same people who struggle to distinguish between system and free will, claim to be speaking on behalf of society, which is quite ironic. Don’t talk about progress in terms of longevity, safety, or comfort before comparing zoo animals to those in the wilderness. 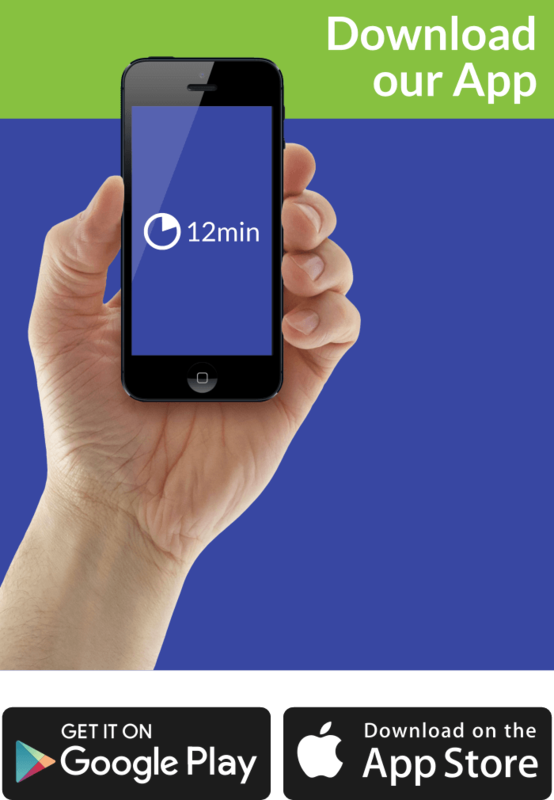 Nassim even sheds light on procrastination, as a method in which the soul tries to break the chains of imprisonment. But yeah, as it is with most other things, nobody has the temerity to exercise radical transparency, especially not to himself/herself. How to deal with a liar? By accepting his/her remarks! That seems like a cruel punishment, but it’s exactly what could turn the tables around. However, we came to the conclusion that saying “No” is not an easy task, especially when you mean it. They will envy you for your success, for your wealth, for your intelligence, for your looks, for your status—but rarely for your wisdom. People prefer to nurture their shallow sense of self and be successful. When it comes to wisdom, society kind of puts it on the same page with academia. In other words, we tend to adopt the same attitude, when these two are under scrutiny. Nassim also cast light on the fragility of temporary deals, and the permanency of the so-called temporary ones. It kind of portrays humans as inconsistent in their desires, and pretty much restless in their deal-making pursuits. I wonder whether a bitter enemy would be jealous if he discovered that I hated someone else. Well, hatred is not easy to conceal and put it under the carpet. But, when we find ourselves engaged in some topic, ideas have this magical power to be multiplied and shared openly. Society has a hard time defining both success and failure. As oscillating terms, we find it hard to accept an absolute definition and evaluate our efforts based on it. One of the key elements towards stoic freedom is the unbreakable urge to refuse being wrapped up in chains. However, people have been deluded that the opposite of being a slave, is owning one. The slave thing has symbolic meaning because it applies to our devotion towards a certain system without questioning its utterances. Paying the price for freedom is too much for some people. Karl Marx even discovered that the best way to control a slave is convincing him that he is an employee. Great analogy and pretty accurate depiction of how the slave-business is conducted – masked as a form of empowerment. Let’s give thought to happiness, as a concept. You will be civilized on the day you can spend a long period doing nothing, learning nothing, and improving nothing, without feeling the slightest amount of guilt. That’s a hell of a thing to say, and only a small portion of the people have the audacity to implement it, thoroughly. So, who should we follow, do we need role models, to begin with? It’s much easier to find anti-models who exhibit behavior you don’t wish to emulate, than people whose actions are in line with your view of the world. Do we need to apologize for our wrongdoings? All the time, except when you are sincerely wrong. If the 20th century is remembered for its failure to produce a social utopia, the 21st will be known for its technological demise. The true measurement of success is the one that revolves around the concept of time. How much time, effort, and skills are you willing to put in? For a classicist, a competitive athlete is painful to look at; trying hard to become an animal rather than a man, he will never be as fast as a cheetah or as strong as an ox. Some dress to impress an entire group of people, whilst others do it to impress that single person that means to them. Whatever you’ve learned on your own, would be the thing that never fades away. True love merely celebrates the win over the universal and the unconditional over the conditional. Universal is protected by the manipulative nature of the human conditioning, and that gives us the impetus to exercise control over our surroundings. Randomness, however, is rarely taken into account. On top of that, friendship or nurturing relationships with other people as a process is pretty much debatable. If you try to find a reason for being friends with someone, you are on the wrong path. Polite disdain is another word for hatred, embraced by those who believe in high-achievement. The truth of the matter is that rumors are only valuable when they are debunked or challenged with facts. This denial serves as a shield or a bulwark against those who intend to neglect the moral principles of the community. When it comes to gossiping and whispers, you are much more likely to fool yourself than others. Do you know that people who have a habit to apologize for everything, only intend to do it again? On the second thought, why would they even try to make amends for their behavior, if they only repeat it once you turn your back? Ask you can see, every apology should be taken with caution because real words are the ones springing from actions. The main distinction between slaves and tech-geeks is that slaves are fully aware of their imprisonment. To some extent, we are all dragged into this mainstream prison; but there’s a way out. First and foremost, you have to be sharp and attentive to spot the danger. Next, you ought to take appropriate follow-up actions. Nassim Taleb is one of those intellectuals who never disappoints. Aphorisms presented here, are by all accounts breathtaking and truthful. The very reading of this book will encourage you to think differently and contemplate on your life choices. With that said, we encourage you to dive into it and take notes to improve your life.